Under eye dark circles often affect both men and women. Dark circles under eyes are also known as dark shadows or rings. 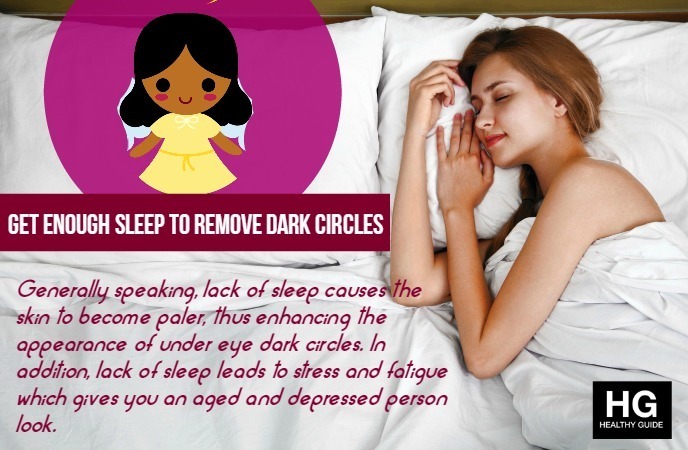 There are many reasons for under eye dark circles. Some of the major causes of this problem include heredity, dry skin, aging, prolonged crying, mental or physical stress, an unhealthy diet and lack of sleep. Basically, under eye dark circles aren’t a serious skin issue, but they will make people look exhausted, tired, unhealthy and older as well. 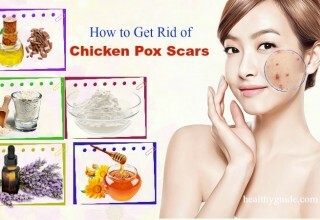 Solving this problem is not difficult and there are some ways and home remedies that help you to remove them quickly. 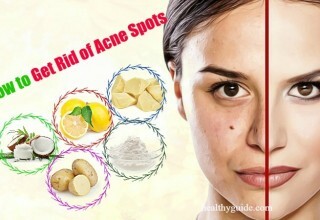 To know what they are, continue reading this article in the line of Skin Care on Healthy Guide site. 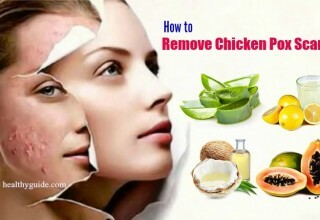 Eating a balanced and healthy diet is also a simple way on how to remove dark circles. Inadequate antioxidants or deficiency of vitamin K are one of the main reasons for dark circles. A deficiency of vitamin B12 also causes dark circles under eyes. Thus, to remove dark circles, you should consume foods having antioxidant pigments, such as cranberries, black currant, bilberries, onions, parsley and legumes. Plus, you should eat a lot of vegetables and fruits, especially leafy green vegetables, spinach, cabbage. You also take the vitamin for dark circles, such as B, C, D, E, as well as fish oil supplements. 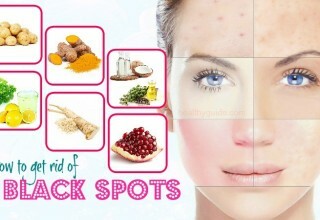 Consuming foods, which are high in folic acid, is also a great idea for dark circles removal. Dehydration is also one of the main reasons for dark circles, so you need to consume enough water or fluids to keep you hydrated. You need to decrease salt intake because excess salt can contribute to under eye dark circles. You also need to quit smoking because it contributes to make the blood vessels appear visible and bluer. So decreasing smoking or quitting it aids in preventing under eye dark circles. Generally speaking, lack of sleep causes the skin to become paler, thus enhancing the appearance of under eye dark circles. In addition, lack of sleep leads to stress and fatigue which gives you an aged and depressed person look. You should avoid alcohol and smoking altogether because they are prone to affect the quality of the sleep. Thus, to prevent and remove dark circles under eyes, you need to get enough sleep (around 7 to 9 hours per night). Cut 1 tomato and later grind it to form a thick paste. Then, take the tomato paste (2 tablespoons) in a small bowl and add lemon juice (1 tablespoon) to it. Mix them well to form a uniform paste and now apply this paste to the under eye dark circles with your fingertips. Let it settle for 10 minutes and finally, clean using fresh water. Apply this mask for three times weekly to remove dark circles soon. Firstly, mash a ½ tomato to collect the juice and later take tomato juice (2tbsp) in a small blow. To it, add lemon juice (a teaspoon), turmeric (½ teaspoon) together with gram flour (2 teaspoons). Mix all the things well to create a paste. After that, apply gently under your eye and rinse off the paste using warm water after 10 minutes. Use this remedy 2 times a week to totally remove dark circles. 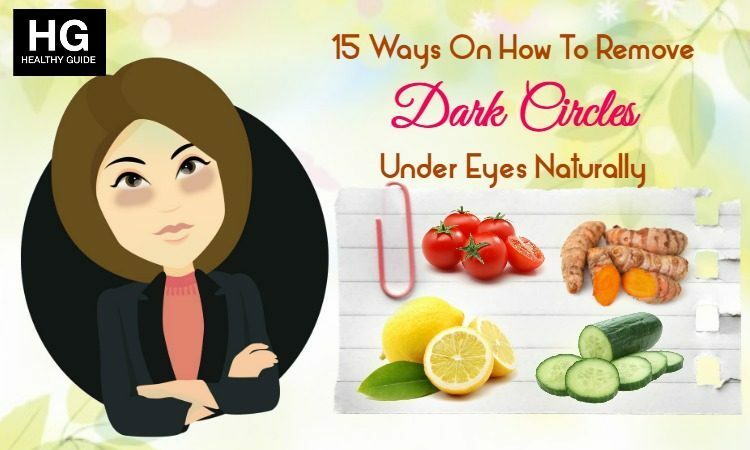 This is a great answer to the query about how to remove dark circles under eyes naturally. Many skin care products often use rose water as an essential ingredient. Rose water rejuvenates the skin and provides the soothing effect as well. Besides, it works as a good toner thanks to its astringent property. In fact, rose water reduces skin irritation and dark circle quickly. Take a cotton eye pad piece and dip it in the pure rose water for two minutes. Then, keep the pads on the closed eyelids for 20 minutes. Thereafter, remove that cotton pad and take cold water to wash your face. Try this remedy twice every day for a couple of weeks to gently eliminate the dark circles. Cucumbers help to fix the raccoon eyes naturally because they contain mild astringent and skin-lightening properties. Additionally, they come with a refreshing and soothing effect. Take a fresh cucumber and cut it into thick slices. Later chill them for 30 minutes in the refrigerator. Afterwards, put the slices onto your affected skin area for around 10 minutes. Finally, wash the area by using water. Repeat the remedy twice daily for around one week or more. You can also mix equal amounts of cucumber juice and lemon juice and then, apply the mixture on your affected skin with a cotton ball. Leave it on for fifteen minutes and finally, wash it off using water. The remedy should be followed daily for at least a week. Another way on how to remove dark circles is using lemon juice. Lemon is full of vitamin C which aids in removing dark circles under your eyes. Apart from that, lemon contains special skin lightening agent making it suitable for treating dark circles. Take 1 tablespoon of lemon juice at first and dip a cotton ball in the juice for 1 minute. Then, dab that cotton ball on your affected area and keep it for ten minutes. To reduce dark circles, follow this once every day for a few weeks. Generally speaking, tea contains the antioxidants and caffeine, which can be highly effective for removing puffiness and dark circles under eyes by reducing fluid retention and shrinking the blood vessels. The tannins in tea, in particular, help to lower swelling and discoloration as well. Firstly, chill two used black or green tea bags about 30 minutes in the refrigerator. Next, place a tea bag over each eye. After 10 to 15 minutes, remove the tea bags. Lastly, wash your face using water. Repeat this way once or twice every day for a few weeks. Cold water also works really well to inhibit the blood vessels under your eyes. This will aid in reducing eye puffiness and dark circles. Take a soft cloth at first and dip it in cold water for some minutes. Directly place it o the eyelids for around six minutes. Alternatively, you can choose to wrap some ice cubes in one towel and later place it on the eyelids. Do the same process 3-4 times daily for a few weeks. Another natural way on how to remove dark circles under eyes is massaging with coconut oil. Coconut oil has a moisturizing quality, which promotes smooth skin and reduces fine lines and wrinkles under eyes. Simply, take a little extra-virgin coconut oil and massage it on your under eye area. Keep it on for some hours and wash it off. This remedy needs to be done two to three times every day for a couple of months or until you attain the satisfied results. Firstly, you need to make a paste by combining turmeric powder and pineapple juice. Apply this combination to the affected area. Leave for 20 to 30 minutes and finally, wash with cold milk or water because turmeric often leaves behind ugly stains. Almonds are loaded with Vitamin E and can be nourishing for the skin under eyes. Carrot, on the other hand, is full of carotene which helps to rejuvenate the skin and reduce the dark circles naturally. Take 3 to 4 almonds and soak them in milk overnight. Crush the almonds in the morning to form a smooth paste. Later grate a few carrots and squeeze out their juice. Then, mix the carrot juice (2 spoons) with the almond paste. After that, apply this pack onto the eyes and under eye part. Allow it to set for 20 minutes and use plenty of water to wash off. It’s suggested to repeat twice per day for best results. 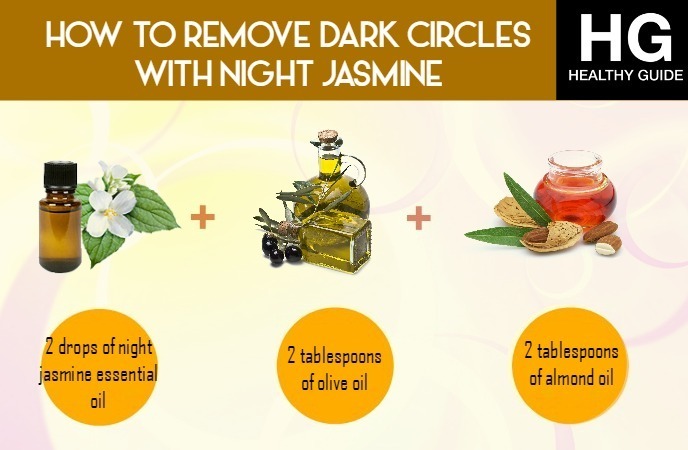 Night jasmine consists of ophthalmic, anti-inflammatory and astringent properties that help to alleviate the stress causing dark circles. 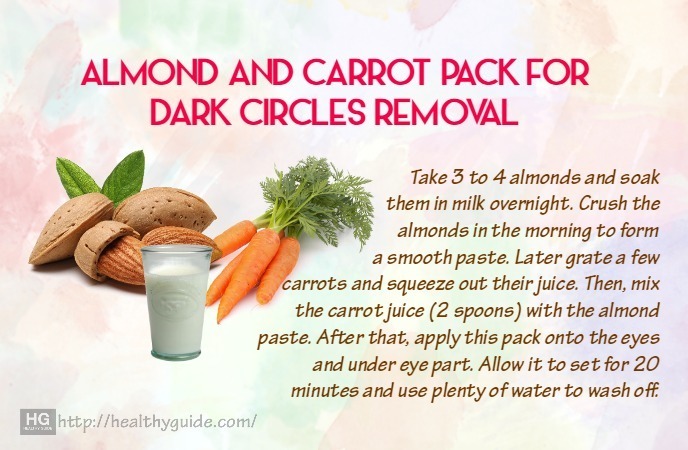 So, this is also a wonderful way on how to remove dark circles naturally at home. Firstly, mix jasmine essential oil (2 drops) and 2 tablespoons each of olive, and almond oil. Apply the combination to the area around your eyes and massage gently for four minutes. Wait for thirty minutes and rinse using lukewarm water. You should repeat the remedy regularly until you has the desired results. This way is great for treating dark circles caused by dry skin because avocados are full of fatty acids. The avocado has vitamin B, E and K, which helps to soften the area around the eye and decreases the dark circles. Take an avocado and cut into many slices and later place them on the eyes for around 15-20 minutes. You can also squash some avocado and to the mashed avocado, add almond oil. After that, apply this paste to the dark circles and wait for 15-20 minutes. Finally, wash it off. Orange juice with glycerin will make the skin under the eye smoother and softer. Glycerin provides nourishment to your skin while orange juice gives the bleaching effect. Take orange juice (1 cup) in a small bowl and add glycerin (1 tablespoon) in it. 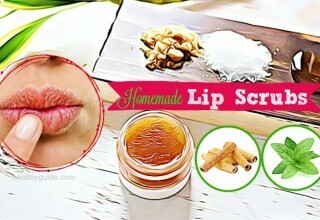 Make a mixture of the two ingredients and later apply it the dark circle areas using your fingertips. Wait for 20 minutes and rinse it off. Try it thrice per week to remove dark circles quickly. Cold milk gently eliminates the dark circles and provides nourishment to your skin. 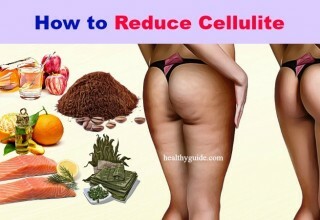 It also keeps the skin hydrated and reduces the skin inflammation. Take cold milk (2 tablespoons) at first and immerse a cotton ball in the milk for 1 minute. Then, dab 1 cotton ball on the dark circles under eyes. Keep it for about 15 to 20 minutes and wash your face by using fresh cold water. This remedy should be used daily to remove dark circles. Now, you know how to remove dark circles under eyes fast and naturally, so you do not have to worry much. Just try these ways and let us know the results. If you want to ask or have any brand new idea related to the content of this article, feel free to leave them in the section below!